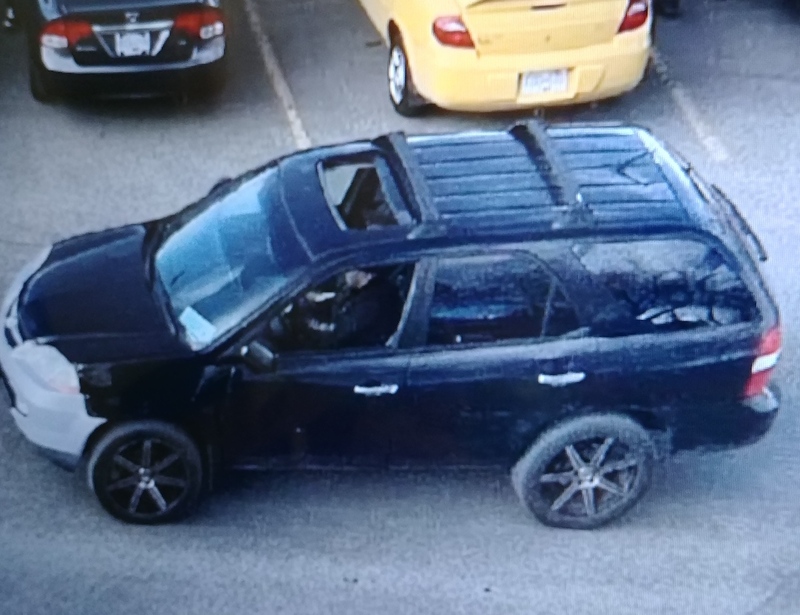 Kamloops RCMP are asking for the public’s assistance in identifying a vehicle that was used in a jewellery theft from a retailer and then, later in the day, hit a woman in the parking lot of a hotel. Police say that at about 3:30 p.m. on Saturday, April 6, a man stole more than $4,000 in jewellery from the Michael Hill Jewellery store in Aberdeen Mall. He took off from the store on foot and got into a black SUV that was parked outside. The SUV had tinted rear windows, large black after-market styled rims, a white front bumper and no front licence plate. The suspect is described as being in his 30s, Caucasian, 5’ 10” with a medium build. Later the same day, at 10 p.m., a man asked to rent a room at the Days Inn Hotel. He was advised that there were no rooms available. He left the lobby, got into his vehicle and backed out of his parking space at a high rate of speed – striking a woman who was standing in the parking lot. The vehicle then sped away. The woman received minor injuries and was treated on scene by paramedics. Surveillance video from both the mall and the hotel show the same vehicle was used in both the robbery and the hit and run. Photos of the male suspect are similar. Kamloops RCMP ask anyone with information on the vehicle or the suspect to contact them at 250-828-3000 or, if you wish to remain anonymous, Crime Stoppers at 1-800-222-8477.